Well, as you can tell from this post and previous posts, I am a little obsessed with Gooey Butter Bars and all of the different varieties. I love coconut, chocolate and pecans so I decided to add these ingredients to the basis recipe. I did and they were heavenly. I think these may be my favorite so far. I think I might try Chocolate Raspberry next! Give these yummy bars a try! 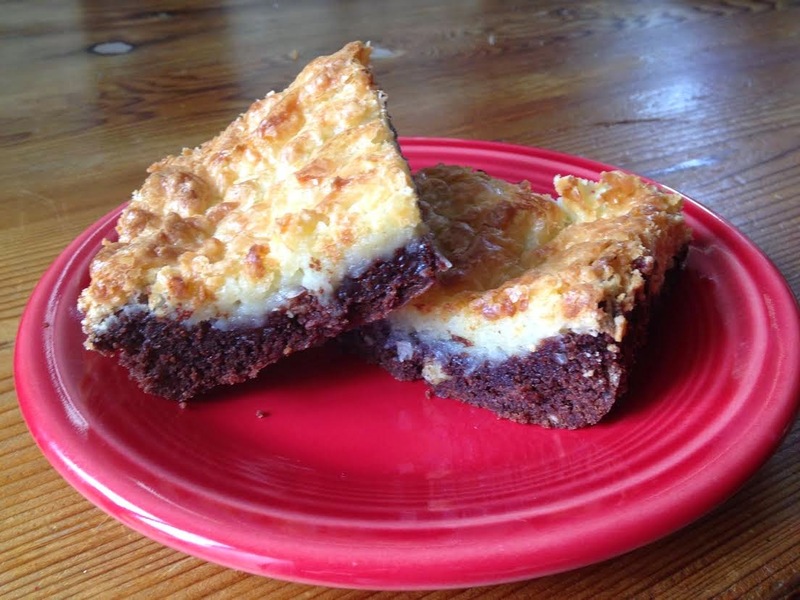 Now, if you haven't made the traditional Gooey Butter Bar, please give those a try first. With Fall quickly approaching, you can try Pumpkin Gooey Butter Bars or Peanut Butter Chocolate Gooey Butter Bars. You can be creative too!! Preheat oven to 350 degrees. Combine the cake mix, egg, and butter and mix well with an electric mixer. Add pecans and mix. Pat the mixture into the bottom of a lightly greased 13 by 9-inch baking pan. In a large bowl, beat the cream cheese until smooth. Add the eggs, vanilla, and butter, and beat together. Add the powdered sugar and mix well. Add the coconut and mix well. Spread cream cheese mixture over cake batter and bake for 40 to 50 minutes. Make sure not to over-bake as the center should be a little gooey.